This is a drop in All Metal Conversion kit by Micro Swiss for CR-10 3D printers. It requires absolutely zero modification to your 3D printer to install. Our uniquely designed cooling block eliminates need for a thermal tube. By not having separate thermal tube inside cooling block, it allows for faster heat dissipation. Thermal heat break is made from Titanium Alloy to provide excellent thermal isolation between heater and cooling block. Titanium is extremely strong material and offers almost 3x lower thermal conductivity than stainless steel, creating more defined melt zone. CNC Machined and Assembled in USA. 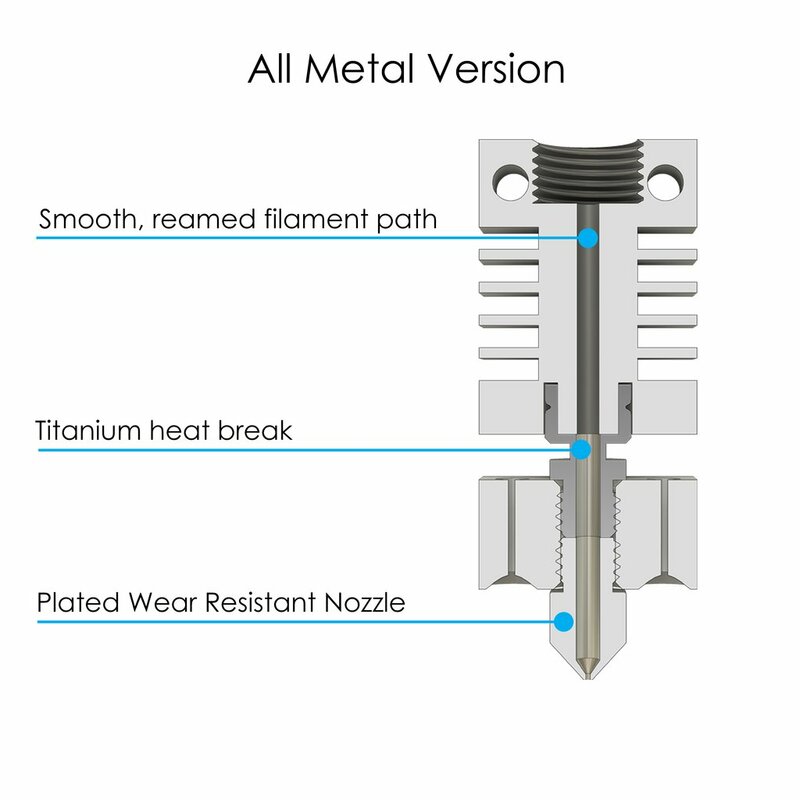 Buy the Micro Swiss All Metal Hotend Kit for your Creality CR-10 for a better 3D printing performance.